So beautiful and delicate Alison. Alison that is every bit as nice as all your other lovely work. Would you mind if used the photo that you have of the cat as a model for my next felted kitty? 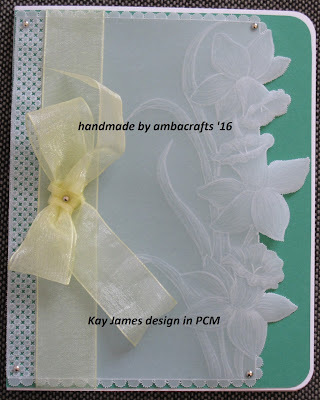 Gorgeous card, very delicate work. Alison this is just such an elegant design.